California: Two militia batteries organized in the summer of 1863, the The Washington Artillery (of Napa County) and National Light Artillery (of Santa Clara County). Neither were equipped until much later. As these were militia batteries, one understands the omission. Delaware: Crossley’s Half-Company of Artillery mustered as part of the efforts to meet the emergency situation in June 1863. They mustered out in September. Iowa: The 4th Iowa Battery, just getting organized, escaped the clerk’s mention. Kansas: Several militia batteries existed at the time. Because of the nature of the war in Kansas, these units, arguably, saw glimpses of “the elephant” without being formally mustered. Additionally, Armstrong’s Battery, part of the 1st Kansas Colored Infantry, escaped mention. Maine: 7th Maine Light Battery began formation in the fall of 1863. Though it would not formally muster until December. Massachusetts: The 13th Massachusetts Battery served in Louisiana at this time of the war, though heavily reduced due to sickness, death, and accidents. The men serving with the battery were serving with the 2nd Massachusetts Battery. That situation may justify the battery’s omission. New Jersey: Chapin’s Battery was among the troops mustered for the emergency of June 1863. New York: The 35th and 36th New York Independent Batteries were being organized during the third quarter. But neither would complete, and their men would eventually be transferred to heavy artillery regiments. Ohio: Law’s Howitzer Battery, associated with the 2nd Ohio Cavalry, probably escaped mention due to the lack of reporting. Pennsylvania: While the independent batteries can be accounted for, the clerks, understandably, did not list the militia and other emergency batteries that saw service from June through the fall of 1863. Tennessee: Only a heading entry in the summary. But there were five batteries, either in service or being organized, as part of the state’s light artillery regiment. Furthermore the Memphis Light Artillery, a USCT formation, and Hurlbut’s Battery, a temporary unit detailed from the Memphis garrison, might be mentioned. But that last reference, to Tennessee, brings up a couple of other sets that escaped mention. The first of these, like Hurlbut’s Battery, were temporary or composite units formed in response to operational needs. Boyle’s Battery: Appears to be named for Brigadier-General Jeremiah T. Boyle. 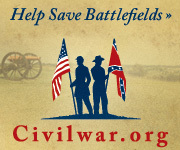 Comprised of volunteers from the 107th Illinois, 80th Indiana, and 13th & 33rd Kentucky. Served in Western Kentucky. Post Artillery, Fort Leavenworth: Also known as the 4th Kansas Independent Battery. Captain Charles S. Bowman commanded. Later became Company M, 16th Kansas Cavalry. Hurlbut’s Battery: Which I grouped under Tennessee (probably incorrectly) and mentioned above. Again, this was a battery built around a pair of James rifles and a pair of 6-pdr field guns. The men were volunteers from regiments then assigned to the Memphis garrison. 1st Florida Battery: This battery formed under the 1st Florida (US) Cavalry in the Pensacola area. I call it a battery here out of convenience, and because occasionally it was cited as such. In reality, this was properly a detachment under the regiment. Memphis Light Battery (AD): “AD” for African Descent, as I’m working from the somewhat “official” designation that appears in post-war War Department notations. Already mentioned. Captain Carl Adolf Lamberg commanded. The battery was sometimes carried as the 1st Tennessee Colored Light Battery or similar derivations. 1st Battery Louisiana Light Artillery (AD): Organizing at Hebron’s Plantation, Louisiana, but would not muster until November 1863. Captain Isaac B. Goodloe commanded. 2nd Battery Louisiana Light Artillery (AD): Being organized at Black River Bridge, outside Vicksburg, Mississippi. Would not muster until December 1863. Captain William M. Pratt would command. 3rd Battery Louisiana Light Artillery (AD): Also being organized, but in this case at Helena, Arkansas. The battery did not muster until December. Captain Jonas Fred Lemke would be the commander. Another “gap” that I wish we could close up are the guns assigned to the various heavy artillery units (either serving as heavy in name, or otherwise employed as such). It appears, unfortunately, the Ordnance Department preferred to carry those on separate forms, if not outright ignored these. I can speculate at length as to why this would be the case. But that would be speculation lacking documentation. In an effort to at least identify the context of that “gap” I will follow this post with a listing of heavy artillery units in service in the third quarter of 1863. Earlier this week, I finished the transcription of the second quarter, 1863 summary statements with a pair of entries for California under the “Miscellaneous” heading. In the past, I’ve given my own “miscellaneous” listing to cover batteries which were not mentioned in the summary. But since the clerks of 1863 have secured that heading, I’ll have to consider other options. Connecticut: Batteries B and M, 1st Connecticut Heavy Artillery served in the 2nd Volunteer Brigade, Artillery Reserve, Army of the Potomac. Respectively under Captains Albert F. Brooker and Franklin A. Pratt, each battery had four 4.5-inch siege rifles. These “heavies” just missed Gettysburg, an remained with the army’s trains. Illinois: Elgin Battery and Colvin’s Independent Battery were omitted from the summary. Kansas: I think the entries for Kansas are fairly complete for June 1863. However, I do think Armstrong’s Battery, associated with the 1st Kansas Colored Infantry, was omitted. Kentucky: The 2nd and 3rd Kentucky batteries were, by my estimate, overlooked by the clerks. Massachusetts: The 13th and 15th Massachusetts, which were in service at the end of June, were once again left off the summary. I detailed those in the state’s summary. Michigan: I mentioned 11th Battery (Battery L) and 12th Battery (Battery M), Michigan artillery in line with that state’s entries. New York: Goodwin’s Battery, serving with the 11th New York Heavy, was among those rushed into the June-July emergency situation. Pennsylvania: The clerks had a poor accounting of the independent batteries. I tried to fill in the blanks. Furthermore, we looked at the emergency militia batteries brought into service in June-July 1863. In addition, let us also consider the heavy artillery regiments then in service. As of June 1863, the summaries we have to consider only tallied field artillery. Heavy, siege, and seacoast weapons were detailed on other forms. Though I would point out that in 1864 the summaries were consolidated somewhat. There is a fine “bureaucratic” point to keep in mind here. The guns of a fort, armory, or other facility were considered property of that installation. So while the members of a regiment might have manned massive Parrotts and Columbiads, the guns were reported by the installation. Mentioned in the bullet points above and sprinkled throughout the summaries for the second quarter, many “heavies” were issued field artillery and put to service on active campaigns IN the field. So we have considered their service where crossing into the field artillery lane. Still, I think for the sake of a complete record, we should at least identify what heavy artillery units were on the rolls at the time and where they served. So my next post, to conclude the second quarter of 1863, will be a summary listing of heavy artillery units that were on the rolls as of June 1863. After posting the summaries for Wisconsin’s batteries last week, I updated all the links for the first quarter, 1863 summaries. Before charging in to the next quarter, I wanted to circle back and identify any additional blanks – specifically batteries or other formations that should have been listed in the summaries but were not. For this, allow me to use Frederick Dyer’s Compendium as the base reference. Although there were formations that escaped mention in that work, particularly those serving only under state authority, Dyer’s is a good list to work from. 1st Arkansas (Union) Artillery Battery – Captain Denton D. Stark received authorization to raise this battery in January 1863. The battery was not completely formed until later in the spring. The battery mustered at Fayetteville, Arkansas, but would move to Springfield, Missouri (perhaps as early as March of the year). 1st Colorado Battery: Once again escaping note from the clerks. Commanded by Captain William D. McLain and often cited as McLain’s Independent Battery. The battery was posted to Fort Lyon, Colorado. Armstrong’s (Kansas) Battery: Potentially an interesting story here, but at present I only can offer scant particulars. This was a battery formed within the 1st Kansas Colored Troops. I suspect, from looking at the regimental roster, the name derived from Captain Andrew A. Armstrong. Formed in the fall of 1862, the regiment saw active service in Kansas and Missouri through the winter of 1863 and into spring. The first reference I have to the battery is from a July 1863 action report. 13th Massachusetts Light Artillery: Battery left Massachusetts in January 1863 and was assigned to the Department of the Gulf. Captain Charles H. J. Hamlen commanded. The battery performed various duties around New Orleans until around June, when assigned to the defenses of the city. 14th Massachusetts Light Artillery: Not mustered until 1864, but I include mention here so you don’t think I skipped a number. 15th Massachusetts Light Artillery: Captain Timothy Pearson in charge. Moved to New Orleans in March and was assigned to the defenses of New Orleans. Battery L (11th Battery), 1st Michigan Light Artillery: This battery didn’t officially muster until April 1863. But the unit was “on the books” at the state level. Battery M (12th Battery), 1st Michigan Light Artillery: Likewise, Battery M would not muster into Federal service until June 1863. Walling’s Battery, Mississippi Marine Brigade: I made mention of this battery as one often cited under Missouri, as it was missing from the first quarter listings. And for good reason, the battery really owes more to Pennsylvania than Missouri! We will see this battery appear under a separate heading in the next quarter. 1st Marine Brigade Artillery (New York): Colonel William A. Howard commanded this formation, which served in North Carolina. The full “regiment” included ten companies. My first inclination is to rate the brigade as “naval” artillery, as they were intended to be assigned to boats and ships. However the batteries of this brigade were used in the field, and eventually assigned to garrison posts. In January 1863, the regiment was reassigned to the Department of the South. But before that move was completed, the formation disbanded (date given for that administrative action was March 31, 1863). Battery A, 1st Tennessee (Union) Artillery Battalion: Also listed at times as the 1st Tennessee Battery, Middle Tennessee Battery, or other derivations. Captain Ephraim P. Abbott commanded this battery, listed in the garrison at Nashville. The battery would go on to serve with the Army of the Cumberland in the field. And I’m not going to say this “completes” the list or fills in all the holes from the summaries. For instance, one noticeable change reflected between the fourth quarter of 1862 and first of 1863 was the reduction of non-artillery troops reporting cannons and artillery equipment on hand. One example was the 3rd California Infantry, which had reported a pair of 6-pdr field guns and two 12-pdr mountain howitzers at the end of the previous year. We saw a few cases, in the winter of 1863, where infantry or cavalry units reported having their own artillery. But those were becoming rare. Still, if we are looking to account for every cannon and every cannoneer – admittedly a long shot at best – one must keep in mind those non-artillerymen serving guns. And also account for those field guns impressed for use in the garrisons and fortifications. And… well you get the point. My closing note for the first quarter would be a circle back to the point made at the beginning of this thread. During the winter of 1863, the Federal armies underwent substantial reorganizations. These actions “task organized” the force towards strategic objectives. In the east, this change was mostly seen with the movement of the Ninth Corps. But in the Western Theater, two large and cumbersome corps were broken up to form a couple of armies – one aimed at Atlanta (with the near-term objective being Chattanooga) and another directed towards Vicksburg. With that reorganization, batteries moved about on the organization charts. All the while, new cannons and fresh stocks of ammunition flowed in (in addition to replacement horses, fresh recruits, and new equipment). The batteries were but loops in several coiled springs about to discharge in the spring of 1863.